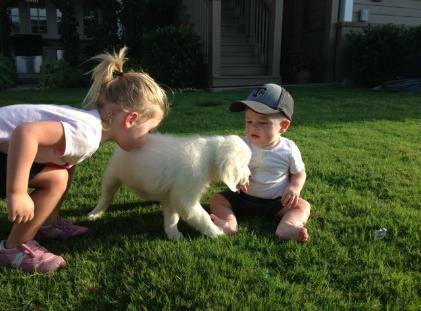 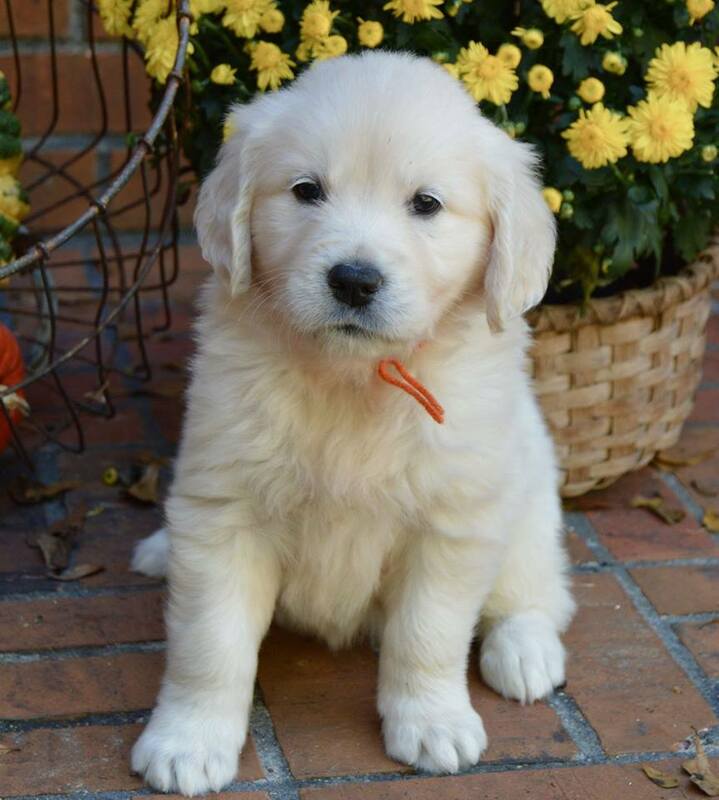 We fell in love with English creamy puppies, white golden retrievers several years ago, and upon first seeing these beautiful dogs we knew we just had to have one. 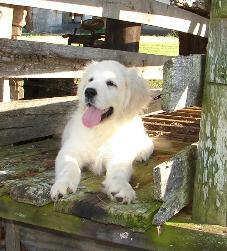 We acquired our first set of goldens in 2004 from some of the finest kennels in Europe. 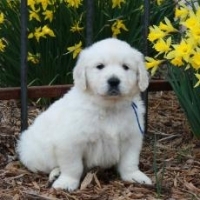 The bloodlines were good and confirmed to be accurate. 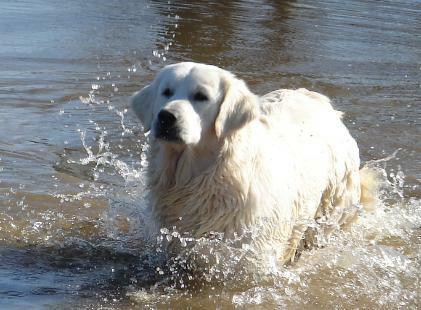 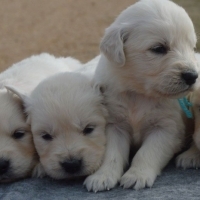 These dogs are called by many terms –English cream golden retrievers, white golden retrievers, European goldens, European cream, and British cream golden retrievers. 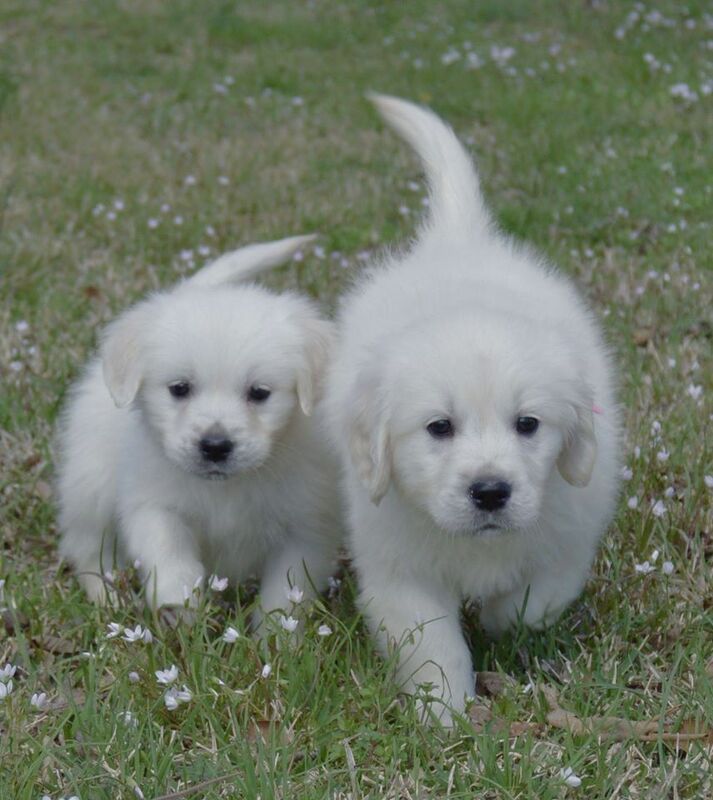 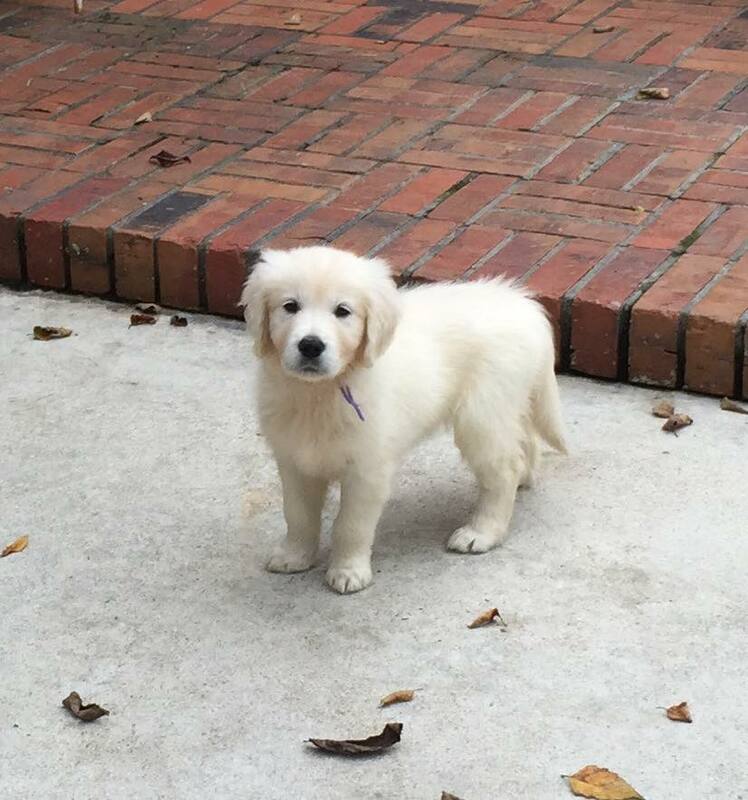 Whatever you choose to call them, you will fall in love with the creamy, white golden retriever puppies from Southern Charm Goldens. 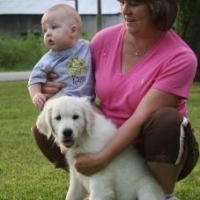 Let us have a part in helping you find your newest family member. 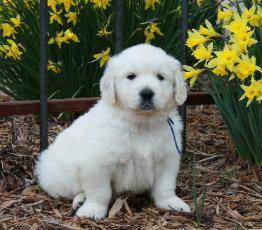 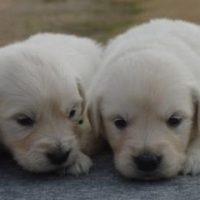 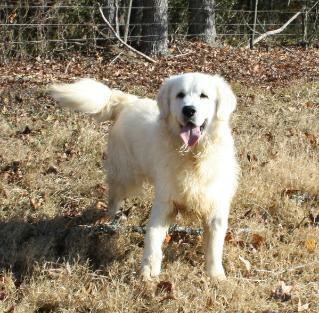 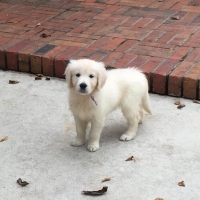 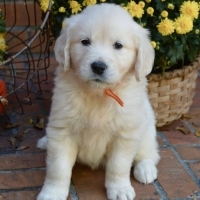 We have the best selection of English cream golden retriever puppies for sale. 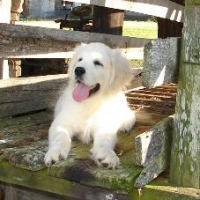 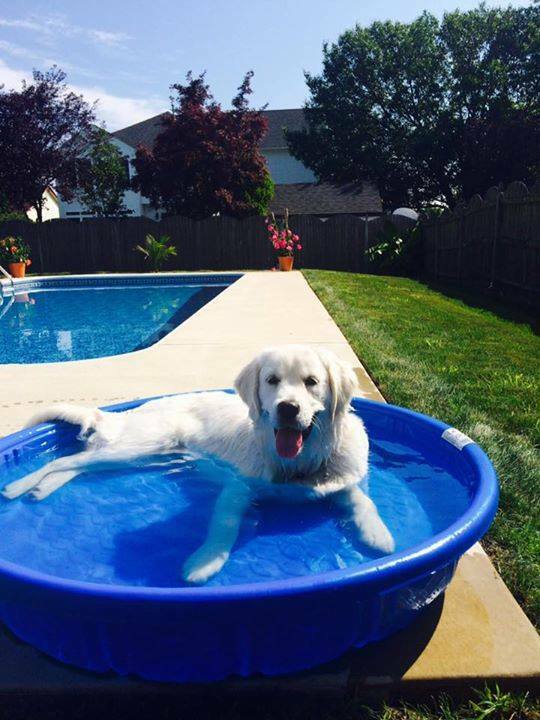 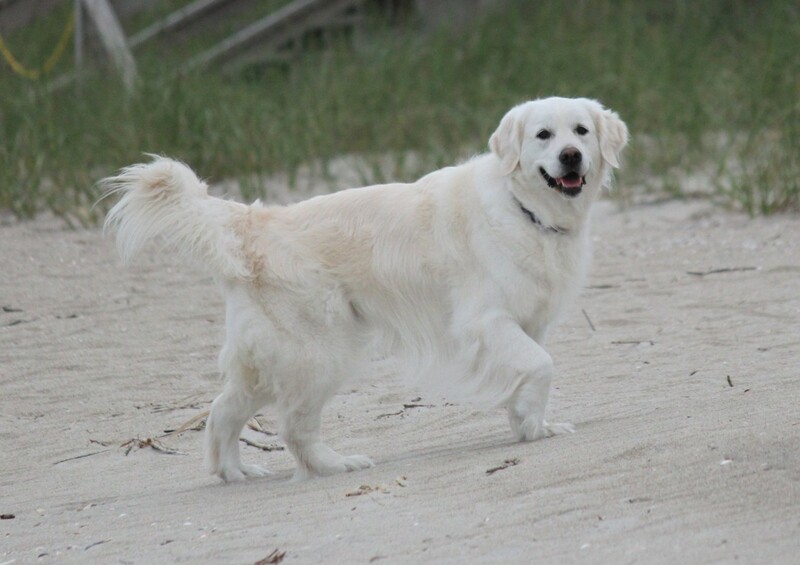 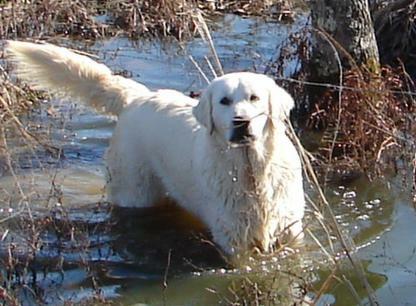 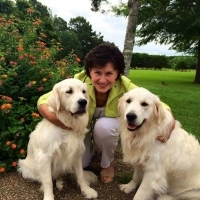 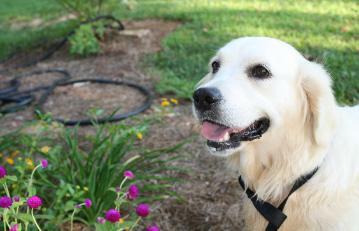 Here at Southern Charm Goldens, we operate as a reputable dog breeder. 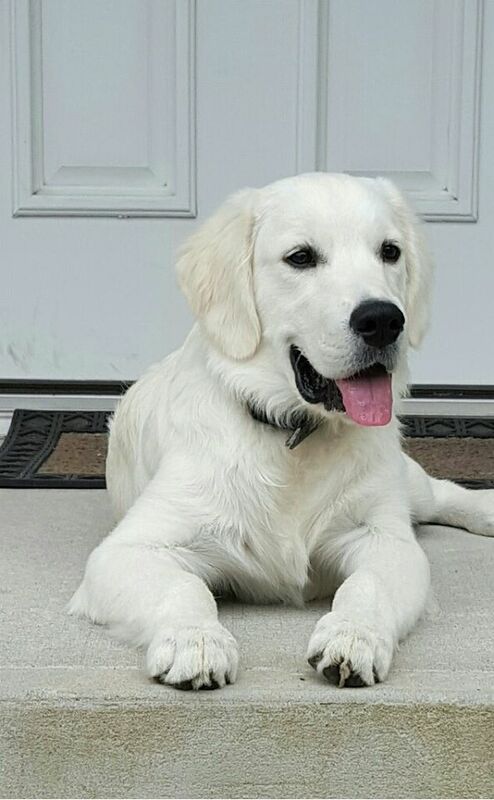 There is a great peace of mind that comes from knowing that your new family member comes from a great bloodline and from people who care for nothing more than the well-being of our dogs. 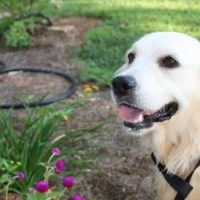 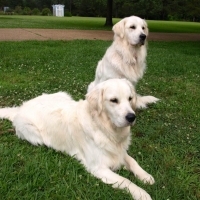 English cream golden retrievers are one of the most popular dog breeds in the USA, and well known for their highly relaxed, ultra-mellow temperaments. 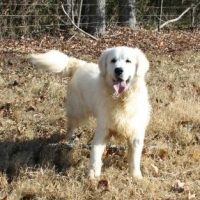 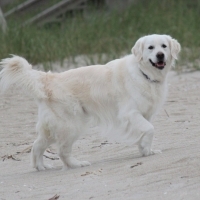 The golden retriever is regarded as a strong, solid dog that is lively and incredibly friendly. 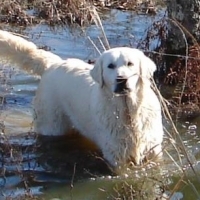 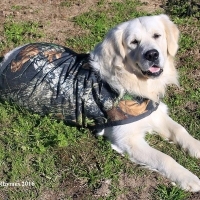 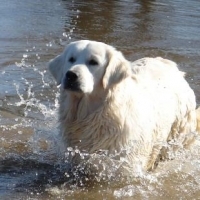 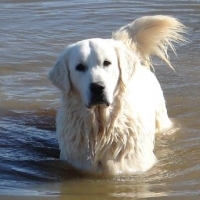 These retrievers are intelligent, incredibly loyal and their tolerant attitude will makes a fabulous family pet, and their intelligence makes them a highly capable working dog. 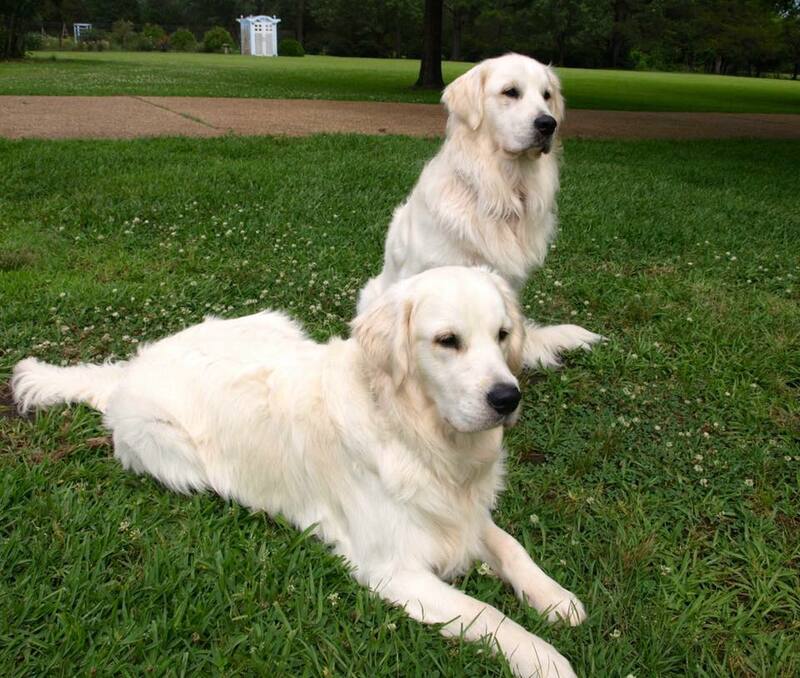 The important thing to know about these golden retrievers is that they always love to live in indoors with their owners and they can’t spend hours alone in the backyard. 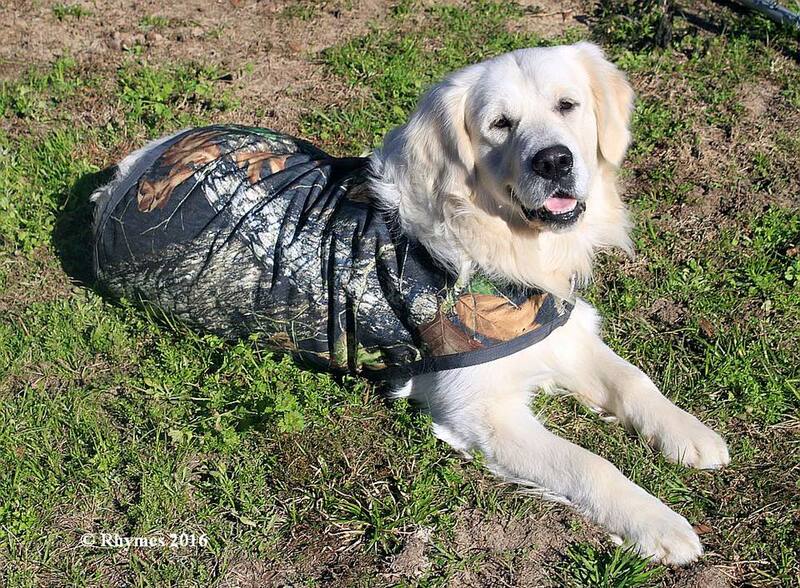 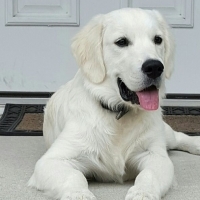 The English cream puppies will also do extremely well at retrieving game for hunters, tracking, sniffing out drugs, and they are the best assistance dogs. 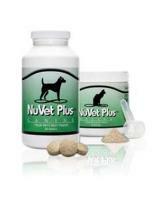 They are also natural athlete dogs, and they perform well in dog sports such as agility and competitive obedience. 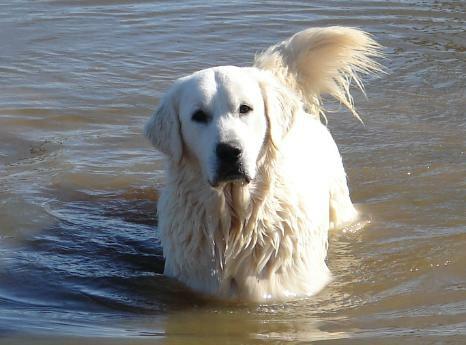 Neck Long, protruding neck. 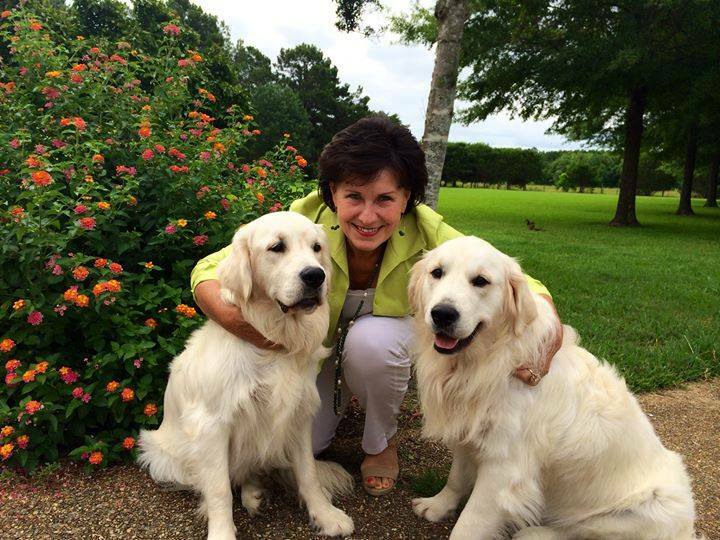 Clean and often trimmed ruff. 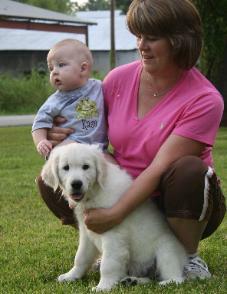 We feel that it is extremely important that you feel 100 percent comfortable with the breeder of your new puppy. 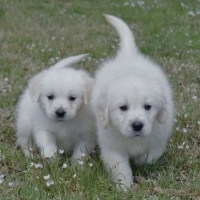 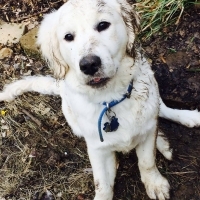 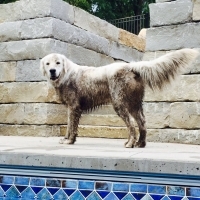 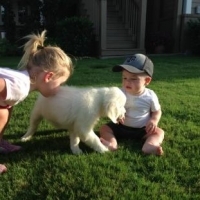 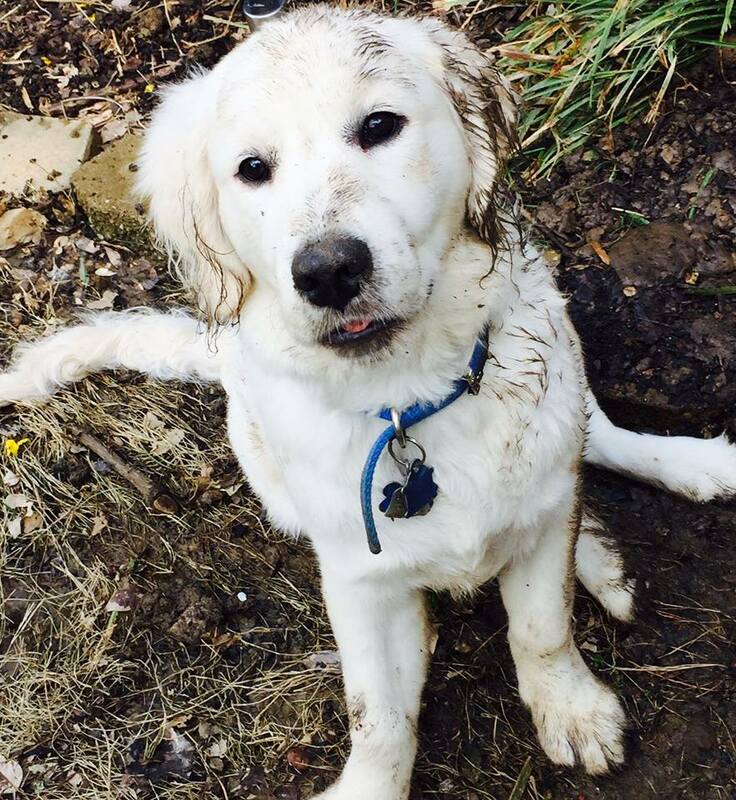 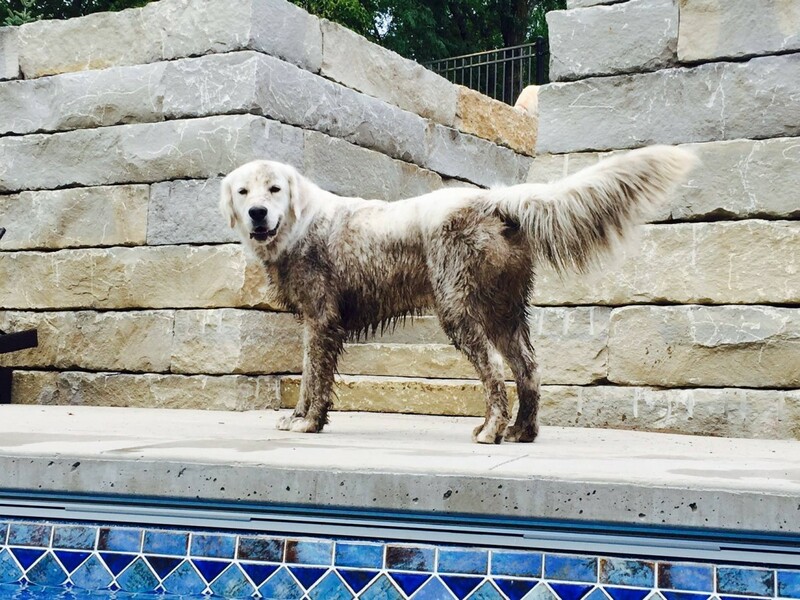 We encourage you to call or email us if you have any questions about the white golden retriever puppies for sale, puppy raising practices or any other questions. 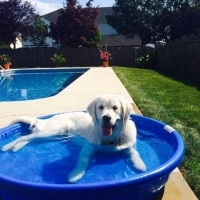 Contact us online today! 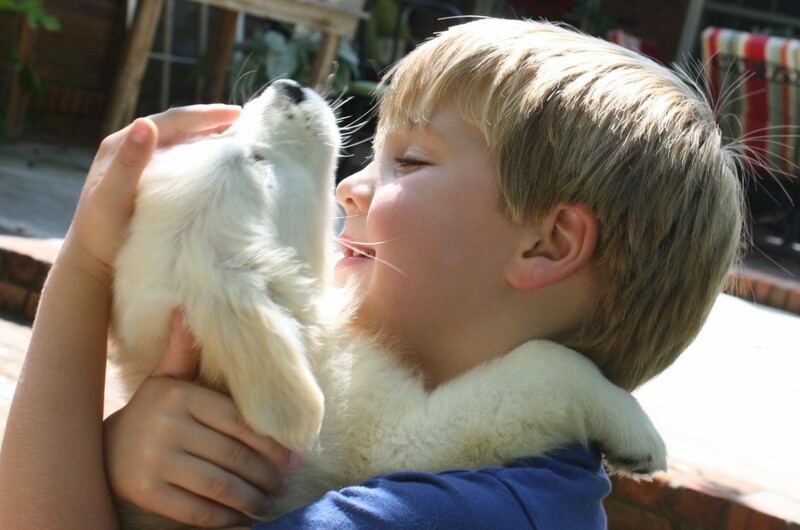 We love our puppies and are sure you will too. 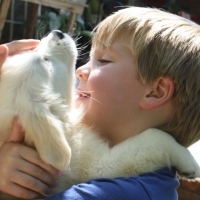 Click to View and Print our Guarantee!